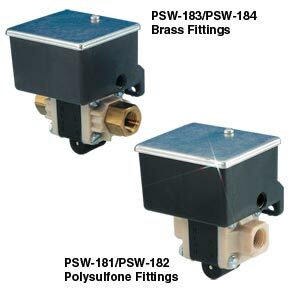 The PSW-180 Series differential pressure switch offers a blend of small size, excellent performance and environmental protection. The PSW-180 is available with switch contacts or as an audible alarm. Shock: 15 g’s, 10 msec duration.